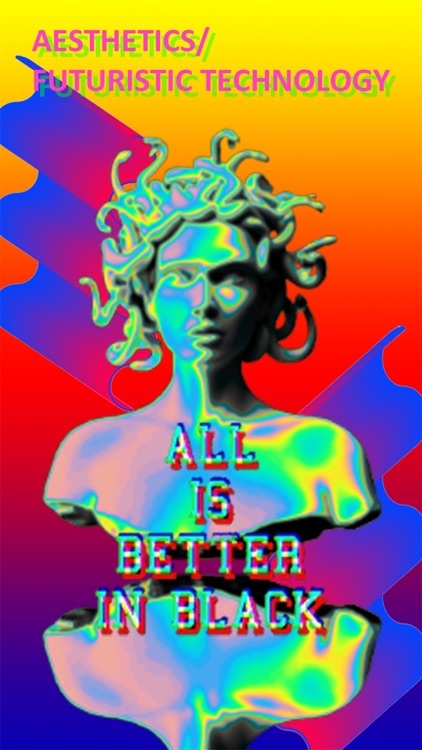 Vaporwave is an 80s retro-style and surrealism art photo editor. 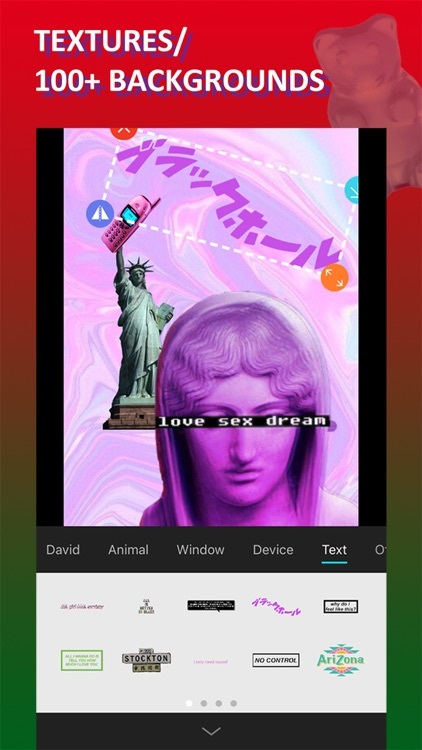 You can use vaporwave software to create very interesting and abstract art photos. 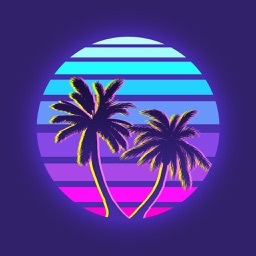 Vaporwave is one of the music schools born on the Internet. 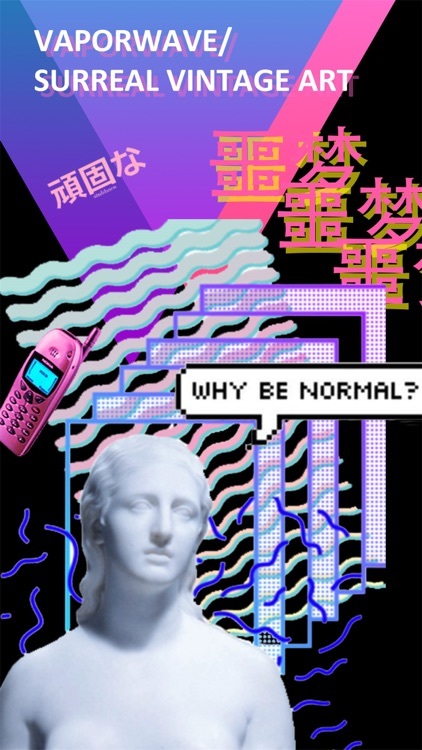 The video, audio, and images of vaporwave were widely disseminated in the early 2010s. The celebration of retro culture, nostalgic artifacts and mass production, as well as the techniques of consumer capitalism and popular culture, the criticism and irony of hippie culture in the 1980s. 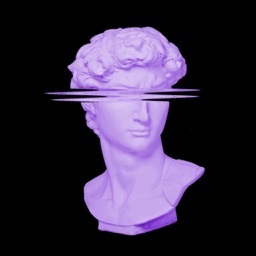 • Built-in 200+ iconic stickers, including statues of David, dolphins, window windows, DVD computer equipment, Tucao characters, surreal items, etc. 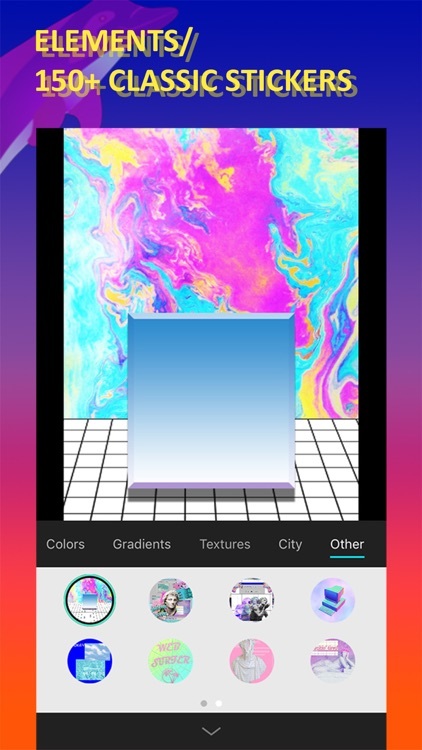 • Powerful text editing, you can create gradient text, 3D style text, containing a large number of fonts, colors, textures, etc.